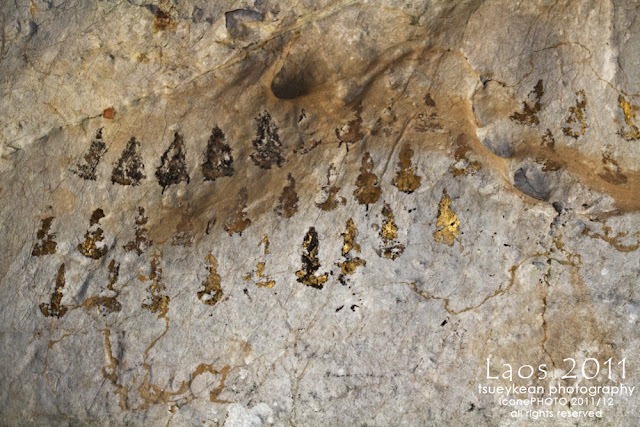 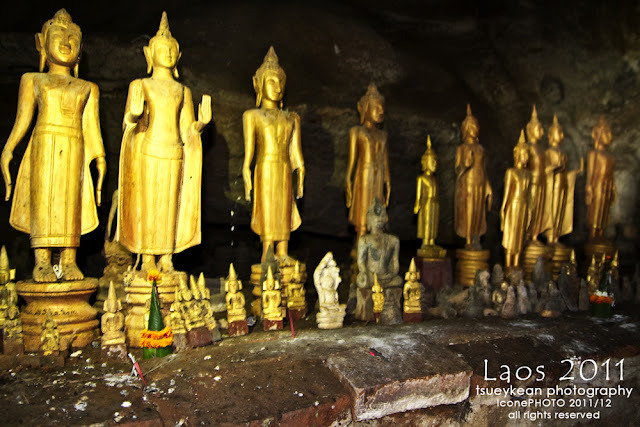 North of Luang Prabang, along the Mekong River, there is a tourist attraction, the Pak Ou cave. The cave is about 1 hour boat trip from Luang Prabang. 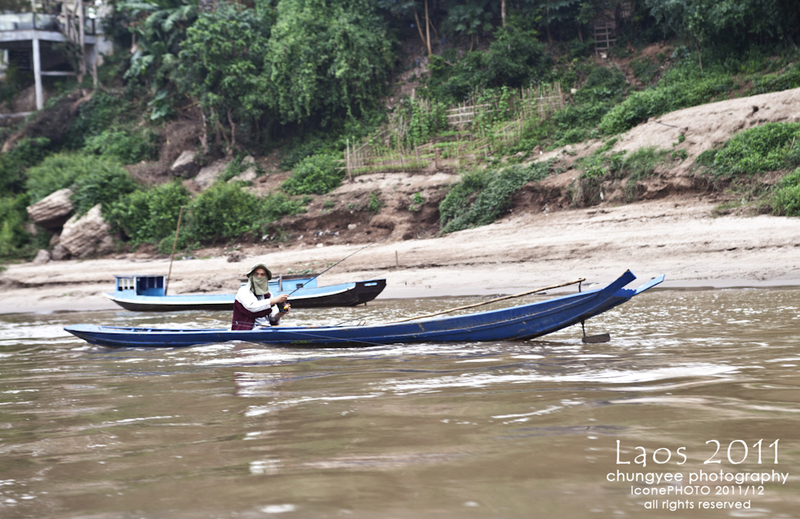 Every day, from morning, boats offer trip to Pak Ou from Luang Prabang. 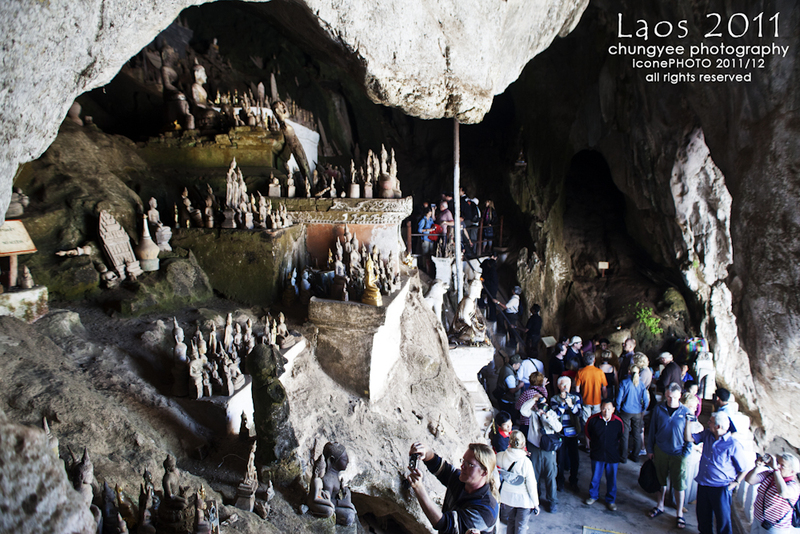 The ticket can be bought from local tourist agencies or guest houses. 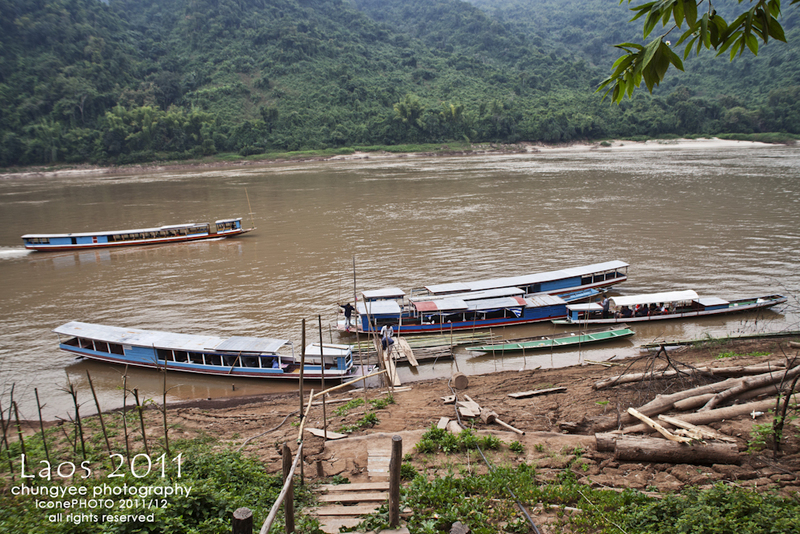 Departure from a small jetty at the river bank, just tens of meters away from the famous Wat Xieng Tong. The small jetty is full with tourists from every corner of the world every morning. 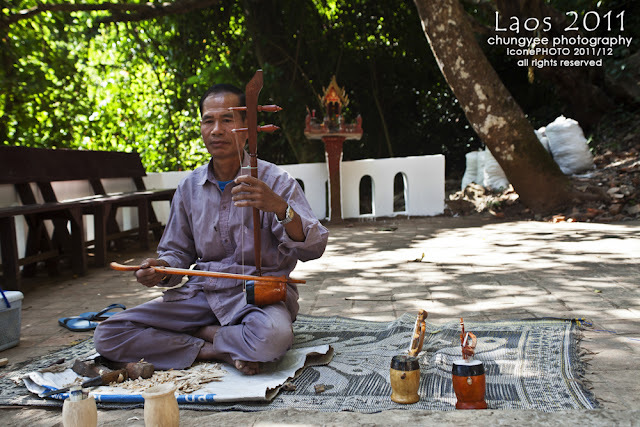 Luang Prabang is a miracle place; you will always make new friends and meet them again around the city. 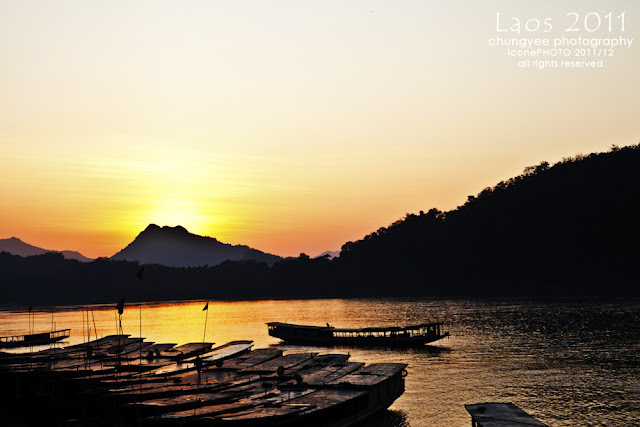 The jetty too, is a place of this miracle; you will easily meet your new friend there. 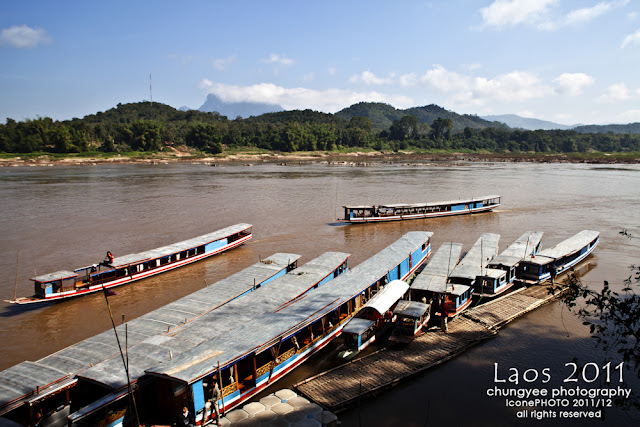 This jetty is not only for boats to Pak Ou cave, but also boats to hill tribes trip of Northern Laos. 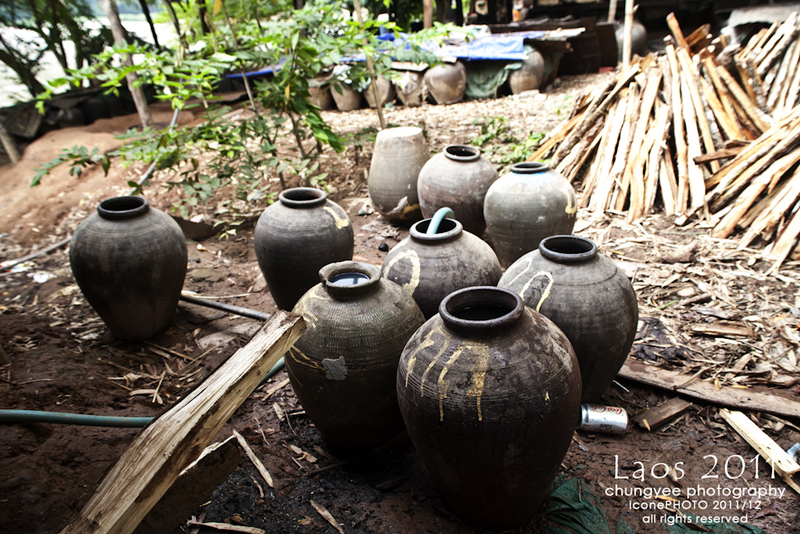 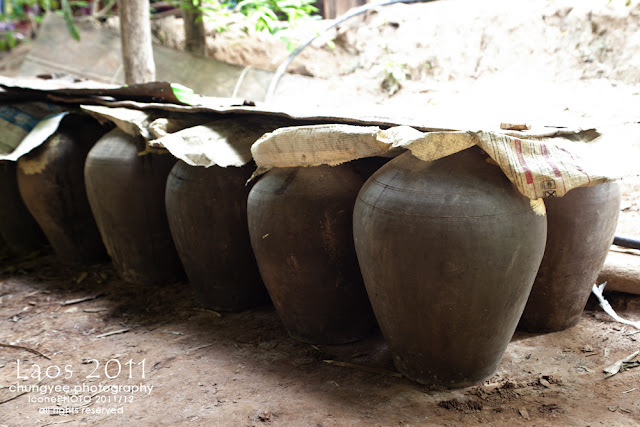 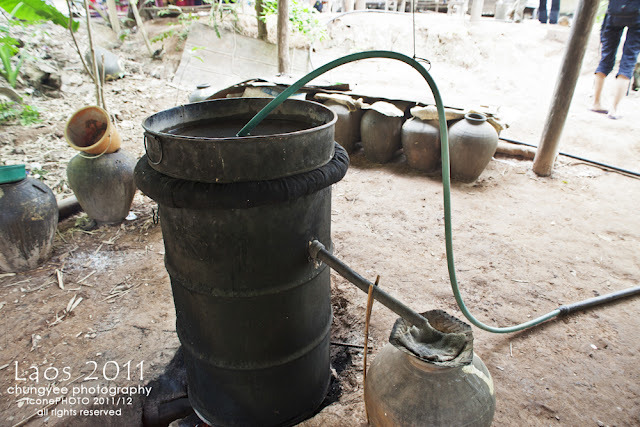 Trip to Pak Ou included stop and visit to village produces Laos rice wine (is a type of Laos whisky called Lao Lao) and silk. 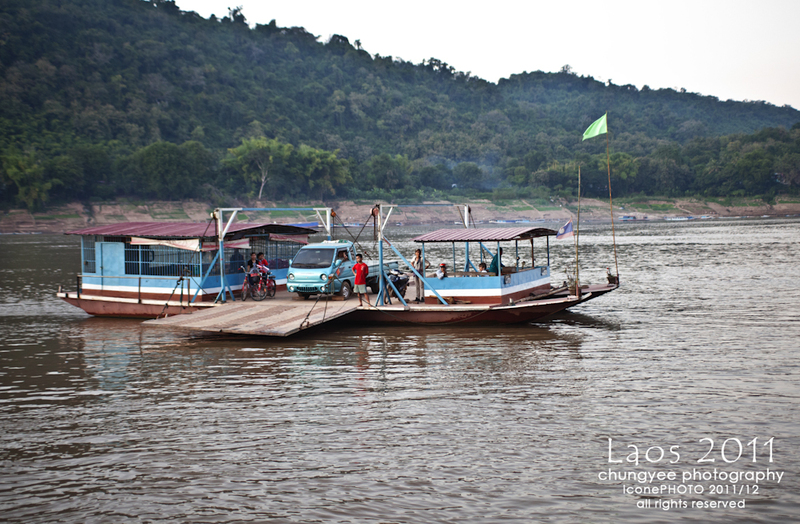 Every boat caters 6 tourists. 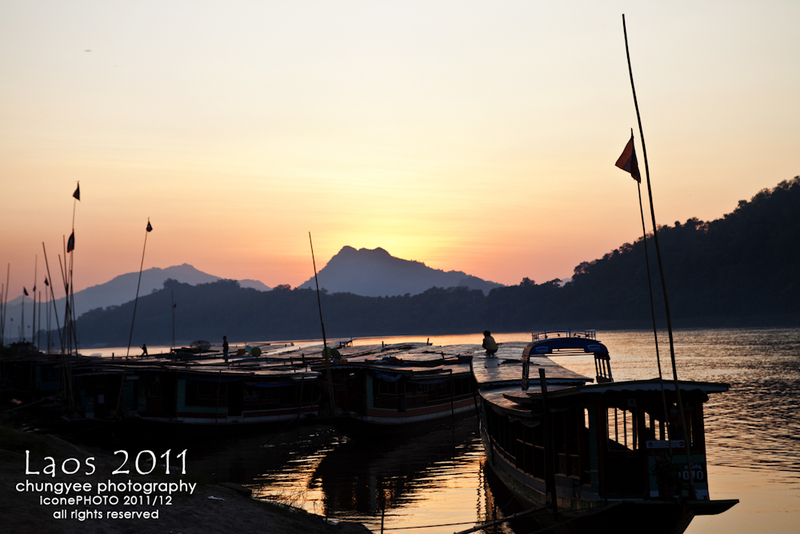 Jet out from the jetty, the boat will move all the way to the North. During December, cold wind along the river, it is comfortable. 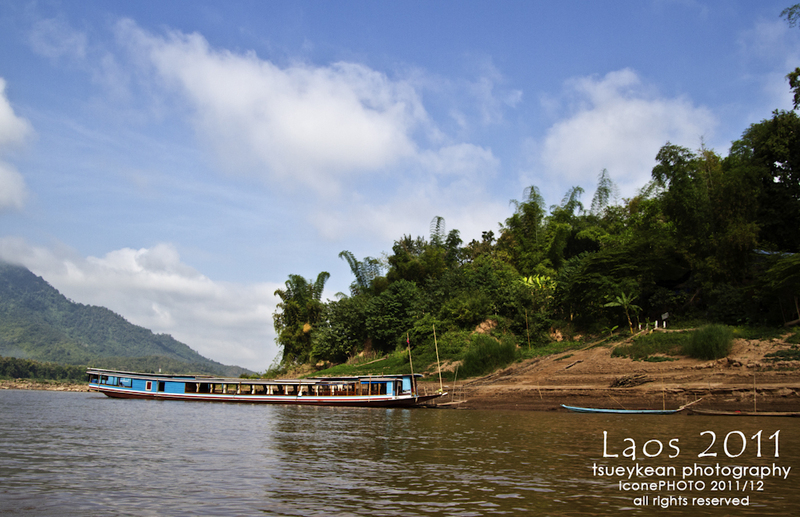 Mekong River is a great river. 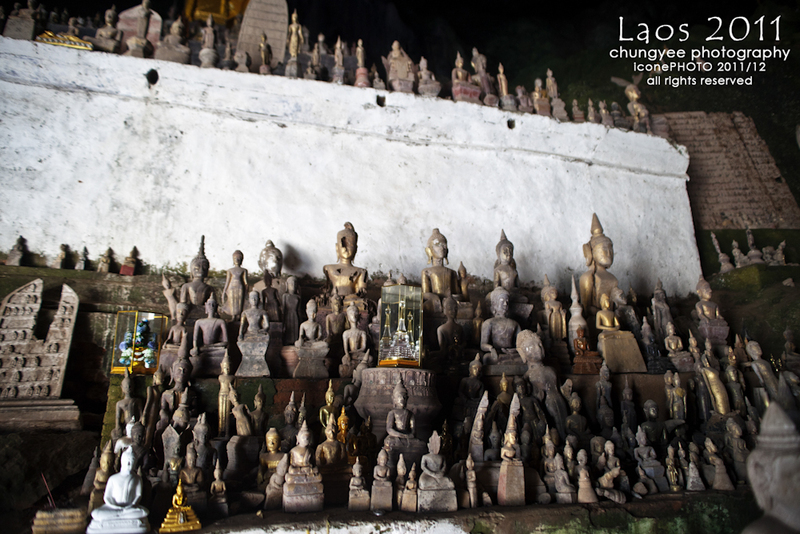 It breeds millions of life a long it path from Tibet in China to Vietnam before flows into South China Sea. 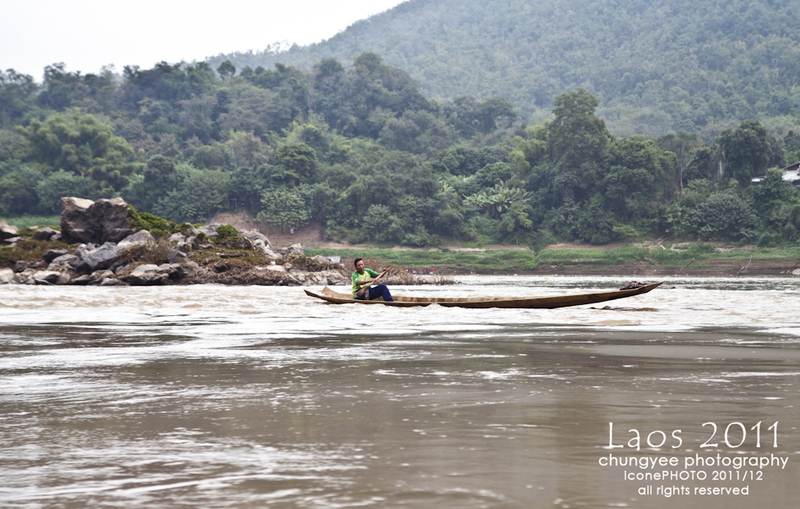 Measure at 4000-plus meters long, Mekong River is the most important water source for the Laos people. For generations, they make living from the river. Rode on Mekong River, you can see that the river is very large (never see such large river in Malaysia, no competition at all). 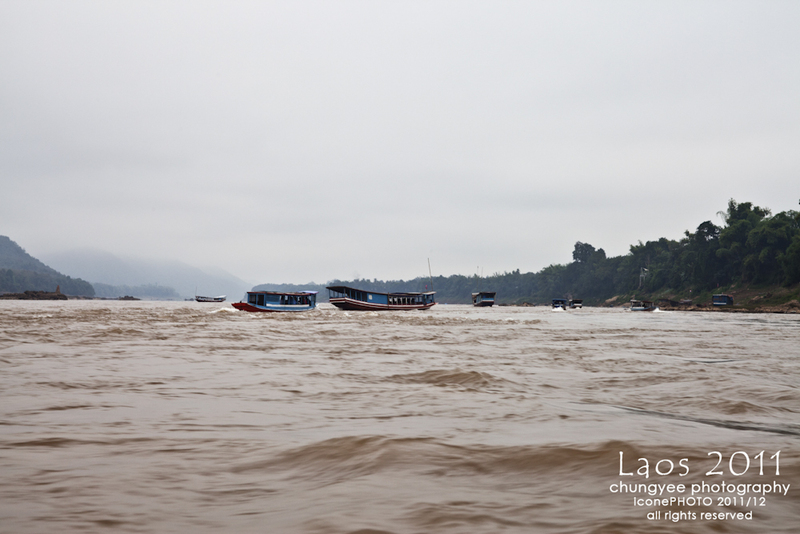 Light mist and chilly wind, grey sky and cold water, this is the late year Mekong River earlier in the morning. December to February every year, Northern Laos is cooler. 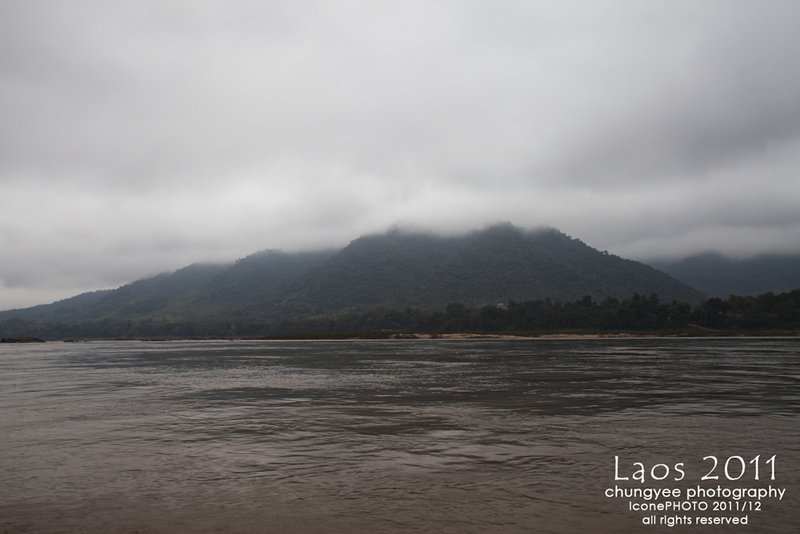 Along the river, forests and mountains, a great natural. 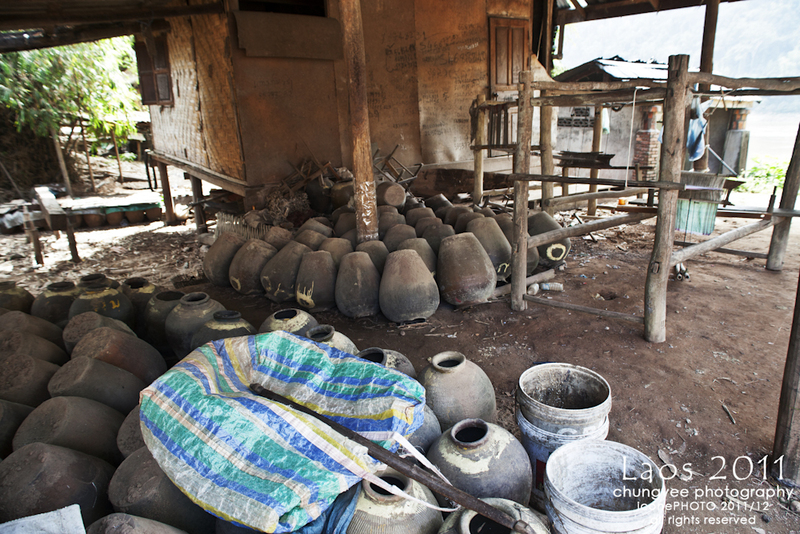 Further to the North, after the Whisky Village, closer to Pak Ou, the sky became crystal clear. 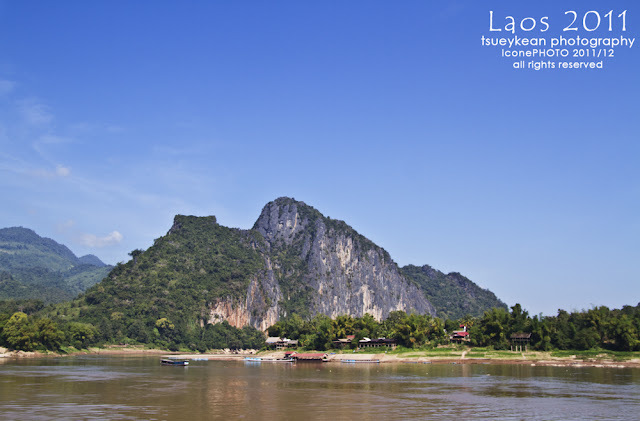 No more misty grey sky and chilly wind; replaced by clear blue sky and warming weather. Nice trip! 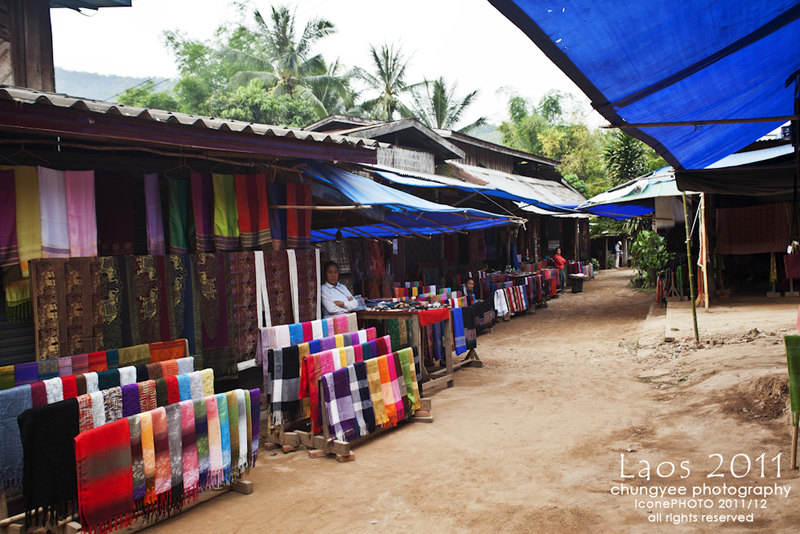 Silk stores in Whisky Village. 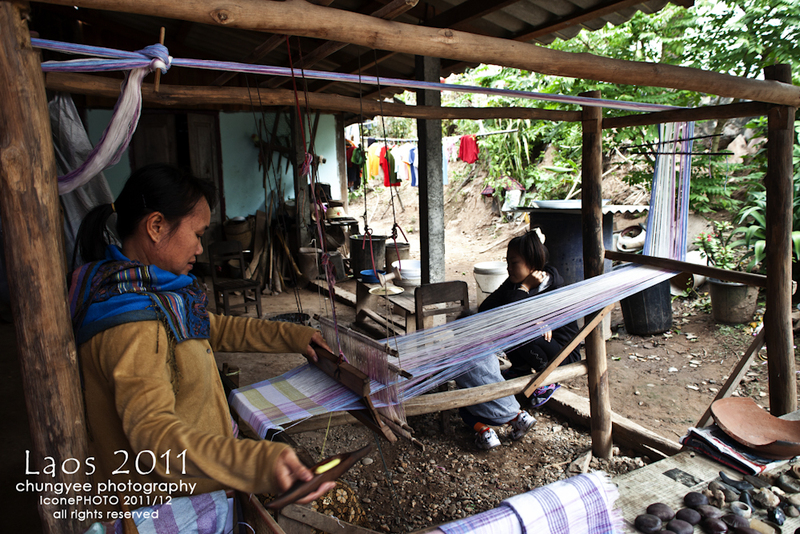 Many of the villagers selling silks in the village. Filtered Whisky are store here for sometimes before sold. 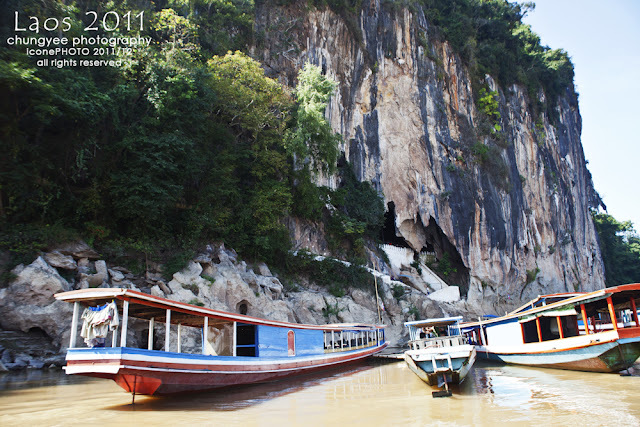 There are two caves at Pak Ou, the Lower Cave and the Upper Cave. 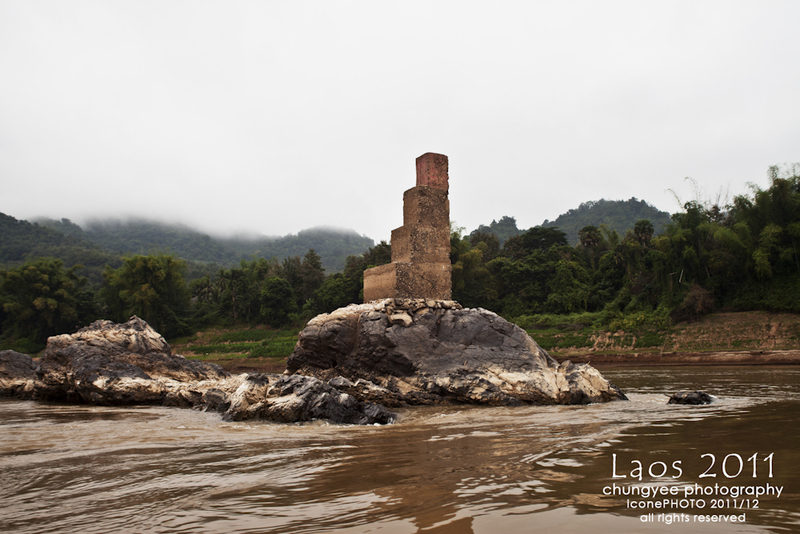 The mouth of the Lower Cave is a prominent landmark visible from the Mekong River. 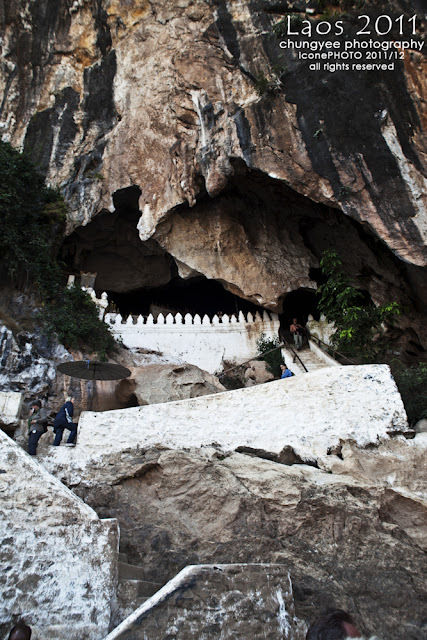 Paved pathways lead up to this cave as well as to the Upper Cave, which is about 60 meters above the river. 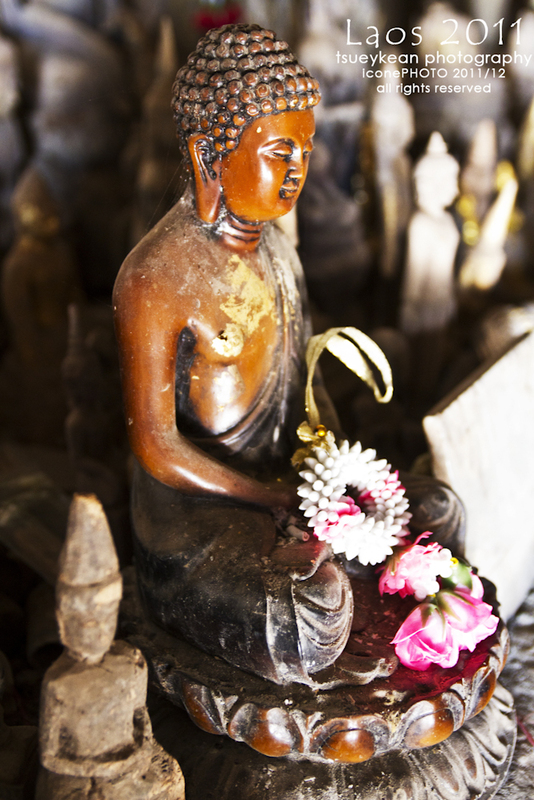 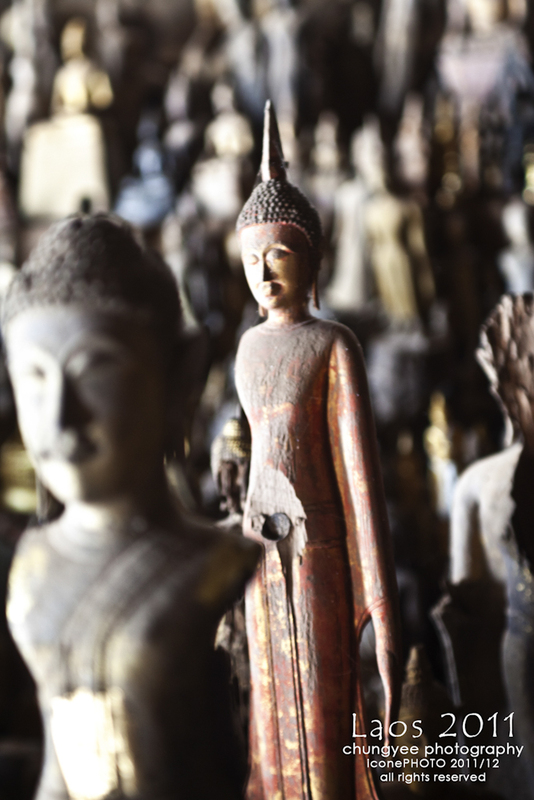 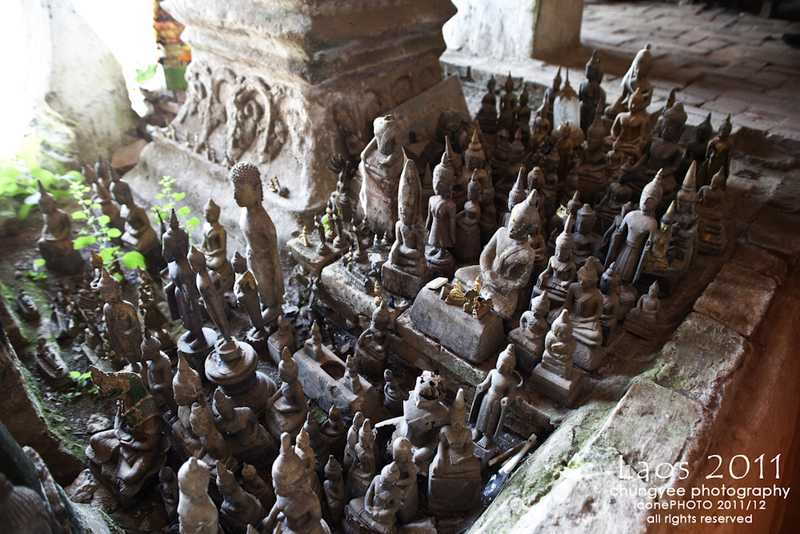 There are about 2,500 sculptures of Buddha found in the lower cave. 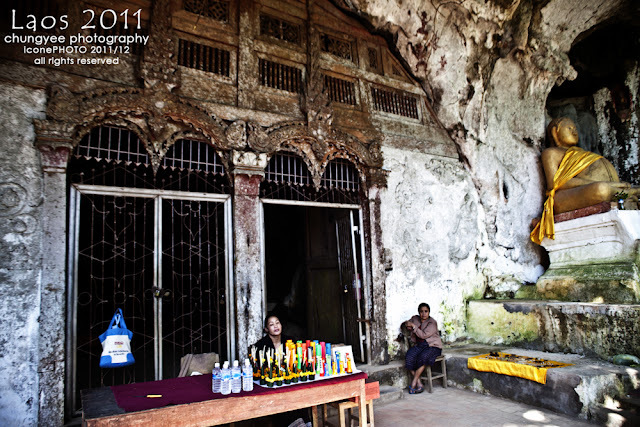 The entrance of the Upper Cave is enclosed by a carved wooden frieze once supported two massive wooden doors. 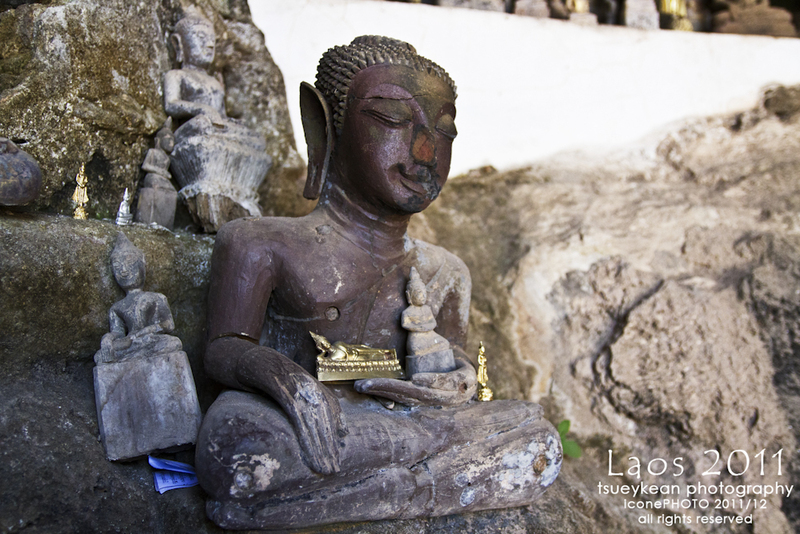 A sculpture of a disciple Buddha sits on a pedestal beside the entrance. 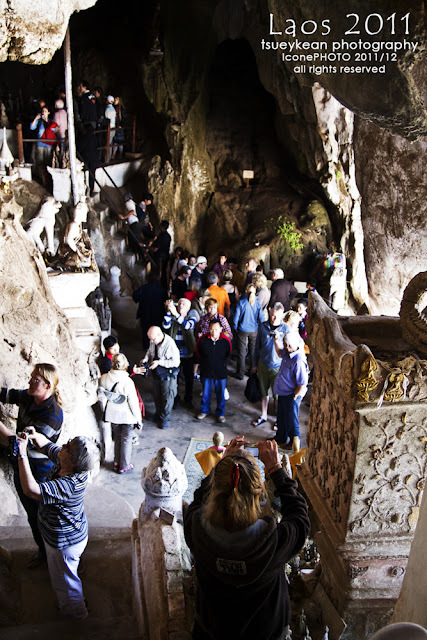 Inside the cave is quite dark, especially at the rear. 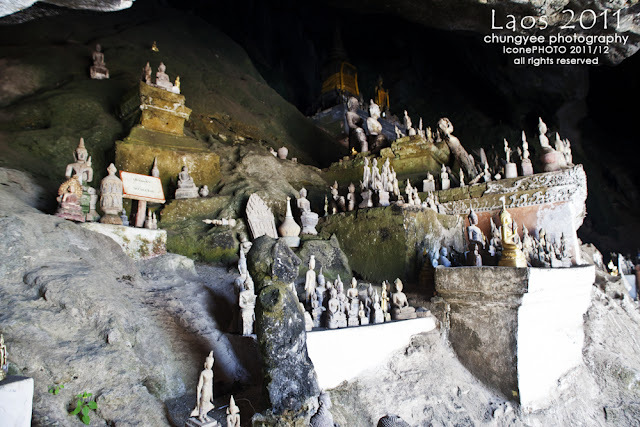 Inside the cave is also sculptures of Buddha. 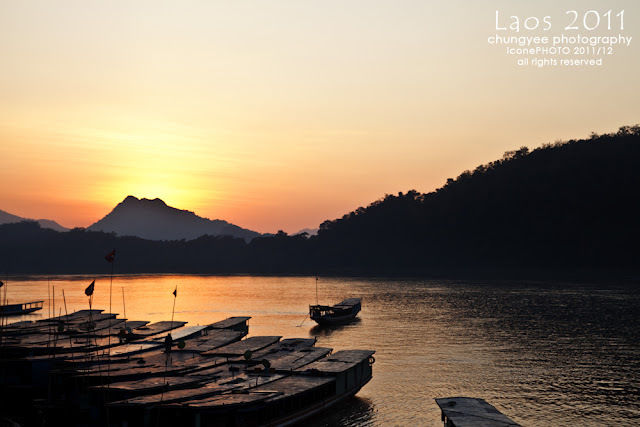 Below are evening view of Mekong River in Luang Prabang.